Setting a budget and then sticking to it, managing finances (whether at home or at work) or in short trying to manage the available resources optimally without going overboard can be the most daunting of tasks. For all those who are struggling to cope up with that, here comes technology to your rescue. You will be glad to know that there are wonderful android apps which can help you keep track of all your financial moves and manage your funds better. Simple apps which will warn you when you are overstepping the limits you laid down for yourself earlier or to remind you when you need to deposit a bill. This free app gives you a complete roundup of your financial health. Developed by the popular website, mint.com, it helps you track each and every rupee spent by you and categorizes your transactions automatically. Not only that, it presents all this information to you in the form of charts and graphs which help you pinpoint the areas where you have been spending more than you had planned, the category which accounts for the maximum expenditure, etc. It also keeps track of bills and other outstanding payments, thus helping you get the most out of every single hard earned rupee. This app comes in two versions- free as well as pro. It allows users to manage income and expenses by sorting them out on a daily, weekly, monthly or annual basis, as per choice. The budget in this app can be viewed by categories. 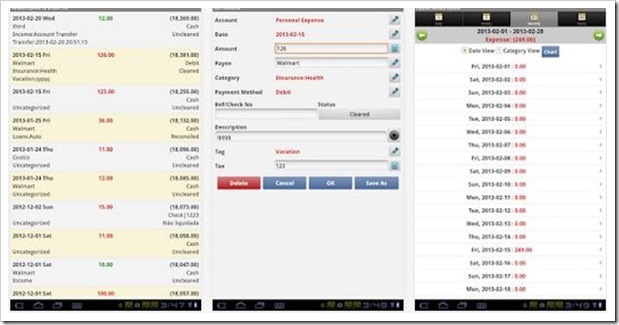 The Expense manager allows users to view budget by categories, take pictures of receipts and backup details, schedule payments, setup alerts about various bills and payments, etc. It also gives them the option to store the pictures of bills, receipts, etc on either the phone or for SD card for future reference. Users can set up multiple accounts and also use various inbuilt tools like the currency converter and tax calculator, etc. This app makes managing personal finances much easier by offering features like adding daily transactions, specifying the budget for various categories like entertainment, food and grocery, petrol, etc. Money Lover then gives a warning when these limits are about to be exceeded, which can help users think twice about the unnecessary or avoidable expenses. It also reminds about overdue payments and pending bills. Users can also add details like salary or money at hand and then keep on storing each and every expense to get regular reports on how well they are managing their finances. This budget and asset management app has many additional features besides the usual management. It allows users to manage debit and credit cards and provides for automatic transfer between assets for optimal utilization of available resources. Besides that, it comes with passcode to keep all the confidential information secure, calculator, bookmark function and the ability to take a backup of data. Though the basic version is free, the more advanced paid version is also available of Financius is also available on the Google Play store. 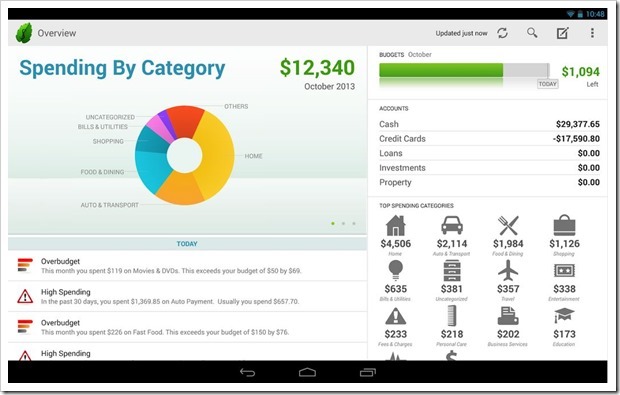 This extremely simple to use personal finance app is one of the best rated personal finance apps online. 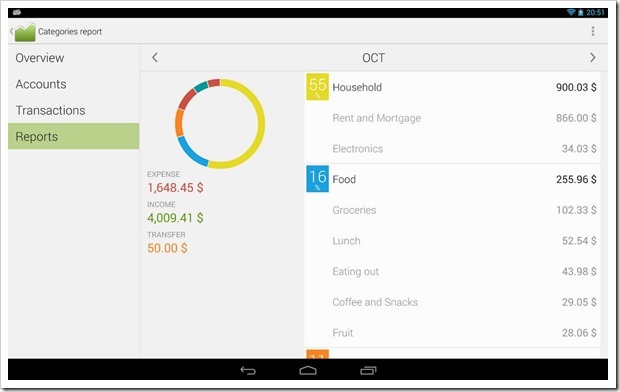 This app allows users to organize their expenses in a very efficient manner while allowing them to keep track of their expenses, finding out how they are spending their money and setting up budgets. They also give regular reminders about outstanding payments. Besides that, this app gives the option to set up daily, weekly, monthly or annual budgets while taking care of recurring expenses. Highly recommended in spite of being at the bottom of the list. Is there any app that you have been using but we missed out? Do write to us and spread the good word by sharing your experiences with our readers. If so, please write to us about it and why you like the app you are mentioning in the Comments section below. 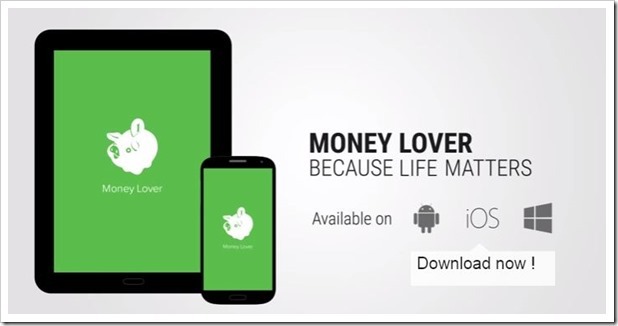 "5 Best Personal Finance Apps For Indian Android Users", 5 out of 5 based on 1 ratings. I’m kind of surprised that CashControl wasn’t mentioned. I’ve used the app and it did miracles to me. Tries CashControl. Its so so neat and plain and extremely functional. Nailed it. Doesnt confuse you with flowery stuffs. On point. Yes agree ! It is available in India too. Hi, i also found SmartAmount, that is based on showing your money availability in next months. Very useful so you can better plan all expenses. I am using Expense Manager from last six months and I found it very useful to keep track of my expenses. I don’t think Mint works in India yet..is that correct? Try Walnut Expense Tracker.. it is an expense management android app which derives insights on business messages in your inbox.